Seamus Farrell’s 15th minute strike was enough for the defending champions to beat Parkville in their first action of the new season. The hosts dominated throughout the first half and shout have been clear and out of sight by half-time but failed to finish chances they created. Two minutes in, Simon Rea cross from the left found Ross Townsend who headed wide. Six minutes later, William Kinsella’s shot from the right went wide. They kept up the pressure and it paid off when Kinsella rounded the ‘keeper and set up Farrell who slotted in. They weren’t done there and kept pressing with Kinsella shooting over before Rea’s cross was drilled in from the left on the half hour mark, finding Alan Smith, who hit it first time, going wide. Had he gotten a touch on the ball first, he would have undoubtedly doubled his side’s lead. Four minutes later, another cross was sent in, this time from the right, by Kinsella. Smith’s diving header narrowly missed the ball. Parkville had a chance to equalise just before the break from Pádraig McGrath's free from the left. However, it was headed out of play by the New Oak defence. The second half was a lot tighter with Parkville coming into it more. They were awarded a free for their efforts three minutes in but Mallin Bieniasz’s effort was cleared away by the New Oak defence who were aware to any danger. Two minutes later, Bieniasz had an effort from the left narrowly miss the top corner. The hosts went close on a couple of occasions as Rea had a shot go wide and Kinsella’s effort was cleared away. Parkville went close on a couple of occasions through corners but each time, they were comfortably dealt with by the New Oak defence. New Oak should have doubled their advantage as some nice link up play saw Smith tee up Kinsella for the cross from the right, but it was the Parkville ‘keeper who rose highest to collect the ball. Parkville squandered another chance when they were awarded a free on the edge of the box. Bieniasz’s effort was easily dealt with by the hosts defence. New Oak had the final say when Rea saw his effort go over the bar deep into stoppage time. New Oak Boys: Seamus Doran, Dave Lacey, Ken Lacey, Davey Walker, John Griffin, Paul Clancy, William Kinsella, Alan Smith, Seamus Farrell, Ross Townsend, Simon Rea. Sub: Liam Geoghan. 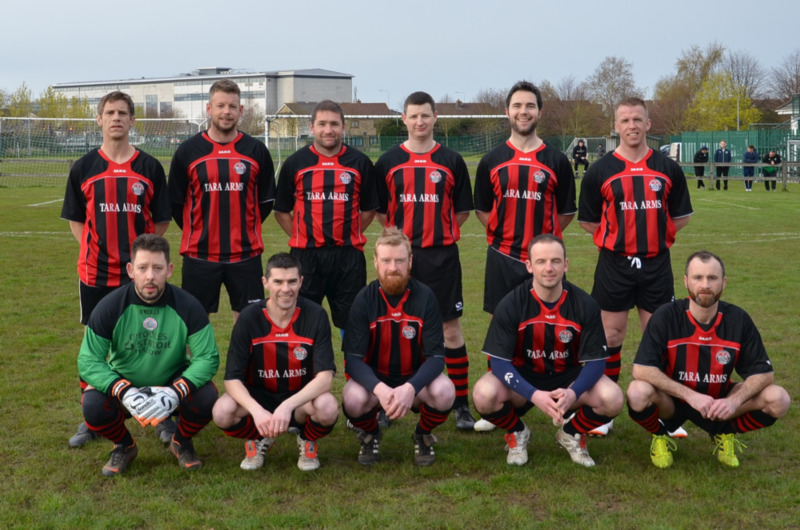 Parkville United: Michael Quinn, Alan Maxwell, Tony Carthy, Colm Kenny, John Nolan, Padraig McGrath, Niall Robinson, Mallin Bieniasz, Andrew Madden. Subs: Barry Flynn, Ray Shannon, David Shannon, Michael Donohoe, Kevin Halligan.